Carrying and delivering a child creates major changes in one’s body – as do those sleepless nights! Some mums turn to post-partum plastic surgery. The so-called “Mummy makeover” includes procedures such as breast augmentation and tummy tucks. But what about women who do not want or cannot afford invasive surgery? Fortunately, CHOLLEY offers exceptional solutions to help them deal with stretch marks, pigmentation changes, and even cellulite. This three-step solution helps prevent and treat stretch marks as the result of pregnancy, as well as puberty growth and weight loss. It contains two products to use daily: the luxurious-feeling Anti-Aging and Moisturizing Emulsion and Best Bio Oil for Stretch Marks. There is also a soothing twice per week peel. Take a little “me time” and treat yourself to a relaxing experience that yields powerful results. Pregnancy causes skin pigmentation issues in many women; typically dark spots disappear after a few months of giving birth. To help them vanish, we recommend our Anti-Spot Serum. It contains Vitis Vinifera stem cell extracts. Vitis Vinifera is a variety of Gamay grape, and it delivers powerful antioxidants and UV protection. (UV protection and sunscreen is also essential in treating dark spots.) This serum also moisturizes, staves off visible aging, and repairs the skin – all important to new mums. While CHOLLEY offers effective individual treatments for cellulite and firming, our 35 Day Complete Program combines four proven, research-backed solutions in one powerful regimen. New mums will benefit from fat reduction, water reduction, soft, smooth skin, and a well-toned appearance. 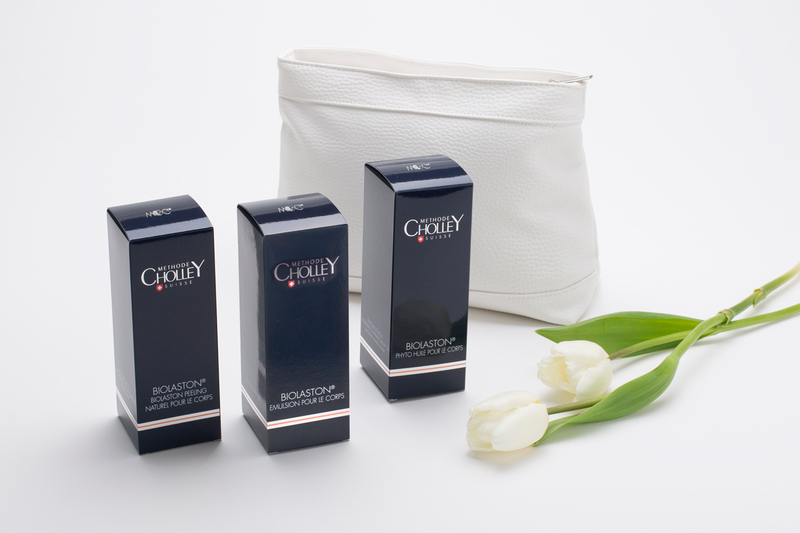 CHOLLEY is committed to helping mothers (and all women – and men!) feel and look their best. For new mums, that can be hard as all their attention goes to the baby. As it should! Our solutions are quick and easy to use; all you need is a few minutes each day.